I didn’t have time to finish the freebie I had planned for today so you have to wait for that. But I don’t want to disappoint you so I hurried to the archives and found 2 quick pages I made for myself last year. I hope you can use them - feel free to build on with your own decorations, text, etc. I’m back with A Little Bit on Friday - see you then? Thank you so much for this post. 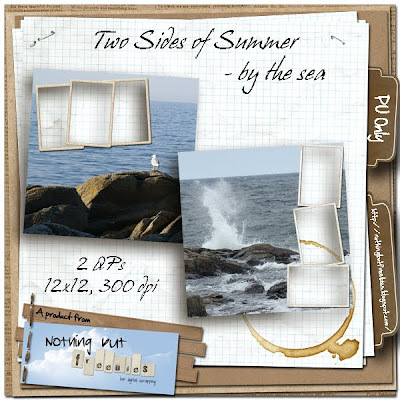 I want to let you know that I posted a link to your blog in CBH Digital Scrapbooking Freebies, under the Page 6 post on Sep. 08, 2010. Thanks again. Thank you for your kind gifts, much appreciated. I can use these to display my photos taken in Denmark this summer.